In this article, we set out to explain how to operate a forklift. If you’ve been wanting to learn how to drive a forklift, then this is a great starting point for you. You’ll learn valuable and helpful information in this article, but please know that you won’t know how to drive a forklift safely just as a result of reading this article. That takes more extensive forklift operator training, including demonstrations from a skilled instructor, practice forklift operation by you, and a forklift operator skill demonstration evaluated by your instructor. But, as we said, if you’re looking for a great and helpful 101-level introduction of how to operate a forklift, then you’re in the right place. 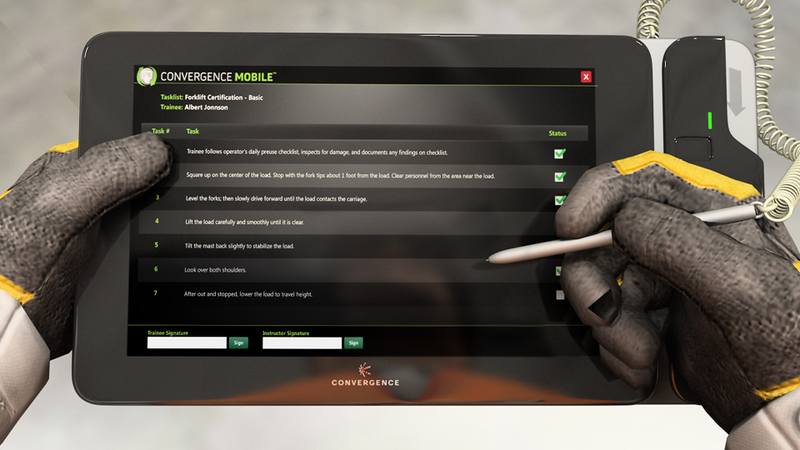 As you’ll see, each of the three sections will be broken down into instructions for smaller tasks involved in learning how to drive a forklift. Remember that before anyone operates a forklift, they must receive proper forklift safety training. OSHA details the specifics for that in 1910.178(l) and we have a separate article on forklift operator training requirements as well. Instructions for performing each of these steps of operating a forklift are provided below. 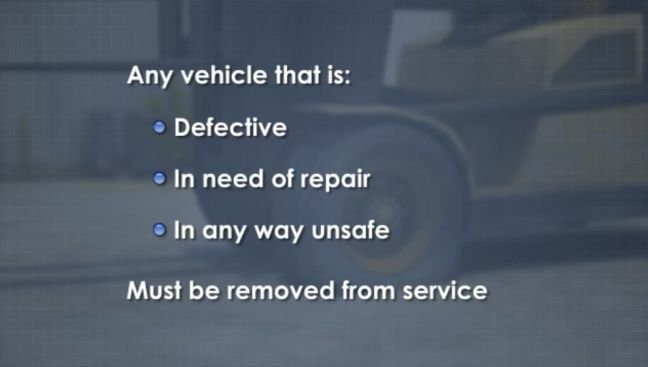 This should go without saying, but we’ll say it anyway: if a forklift has been taken to service because it’s defective, needs repair, or is in any other way unsafe, never return it to service until the problem has been resolved. In 29 CFR 1910.178(g)(7), OSHA requires all forklifts be examined at least once a day before they are placed into service. 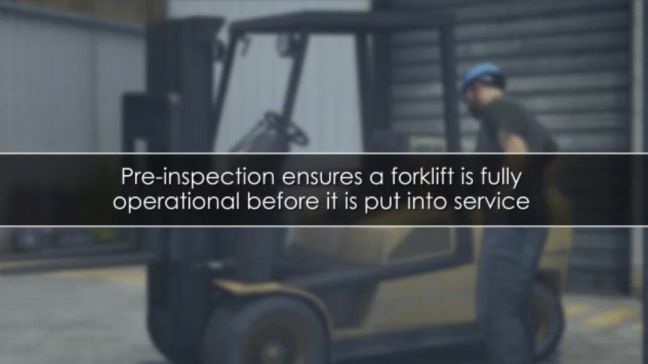 If a forklift is used around the clock, then inspections must occur after every shift. We’ll cover both inspections in this section, starting with the pre-operational inspection. 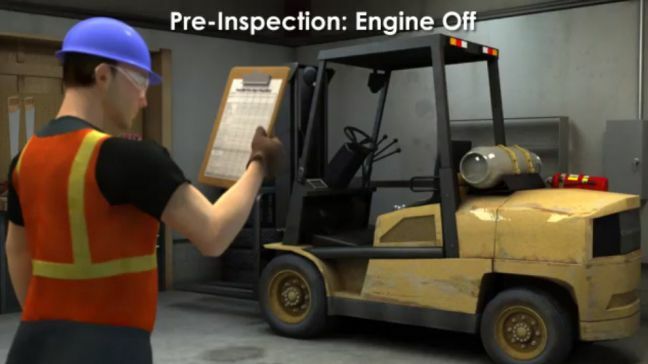 If the forklift operator determines that the forklift needs repair or servicing as a result of the inspection(s), the forklift must be immediately removed from service. Mast chains (look for cracks, breaks, or any other defects). Use a stick or similar device to check the chain tension. The forklift operator should never place a hand into the mast. 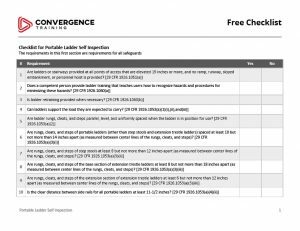 We’ve even made some handy Forklift Inspection Checklists for you to download. Nice, huh? Don’t try to start the forklift before you’ve completed the pre-operational inspection. Once that’s done, start the forklift and then prepare to complete the operational forklift inspection before driving off. 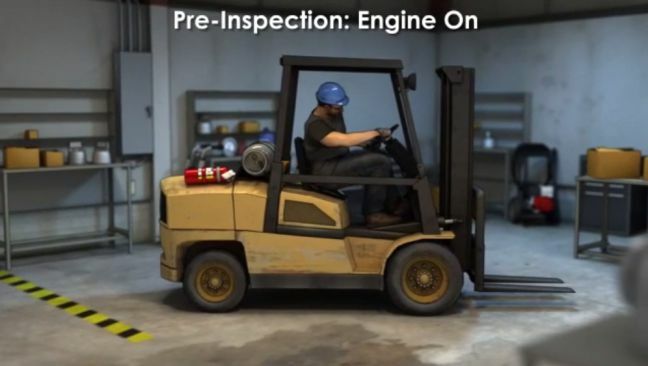 After the pre-operational inspection (with key off) is complete and you’ve mounted the forklift, it’s time for a operational forklift inspection. In addition to all of the above, observe for unusual noises or vibrations. If you detect any, report them immediately. 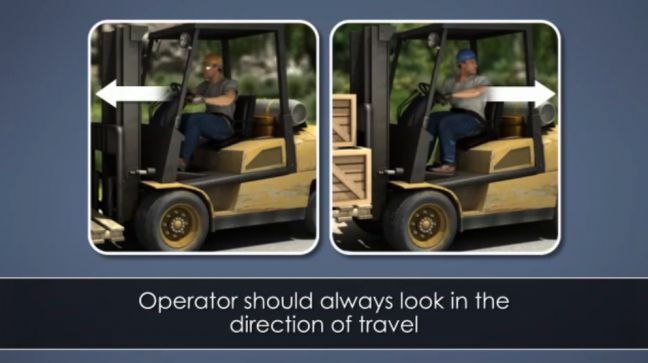 In this next section of our instructions on how to drive a forklift, we’re going to cover instructions for traveling on and maneuvering the forklift. Many people think that operating a forklift is simple and basically like driving a car. But in fact, driving a forklift is very much different than operating a car, and that’s one of many things you should know before you operate the truck. 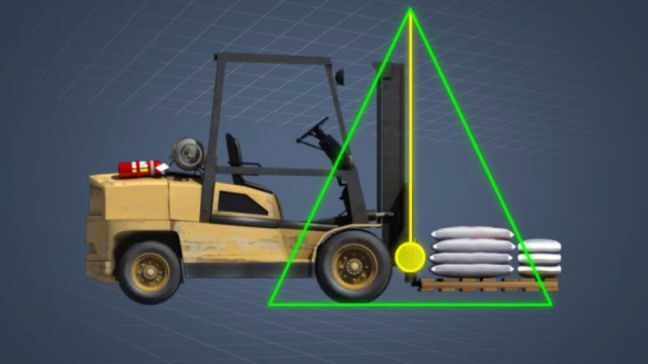 Operating a forklift with blocked or partially blocked visibility increases the chances of an accident. Drive slowly into and out of warehouses or other buildings. Moving from a bright to a dark area, or from dark to bright, can temporarily disrupt visbility. Add physical barriers such as ramps, raised concrete staging areas and heavy-gauge safety chain in front of loading dock openings. Before you begin to move the forklift, make sure your way is clear by looking in your direction of traffic. Sound your horn and/or use a spotter if your vision is obstructed. Once you’re sure your path is clear, proceed with caution down the path of travel and watch for dangerous curves, blind spots, intersections with pedestrian traffic, and/or any other hazards. In short, drive slowly and pay attention. Never turn on a grade (or incline/decline). Turning on a grade makes the forklift more likely to tipover–even a small grade. Look in the direction of travel. That means looking behind you when driving in reverse. Consider the noise level in your workplace and the possibility that other workers are wearing hearing protection. Don’t assume that pedestrians or bystanders are able to hear your back-up alarm. Always leave lots of room for pedestrians. Remember that you can’t correctly anticipate all of their actions and many pedestrians are not familiar with the operational limits of a forklift. Don’t grab the overhead guard when traveling in reverse. This could result in harm to your finger. If a load on the forks blocks your view of the intended path of travel, travel in reverse. Properly secure dockboards or bridgeplates before driving a forklift over them. While driving over them, be careful and drive slowly. Never exceed the listed capacity of a dockboard or bridgeplate. 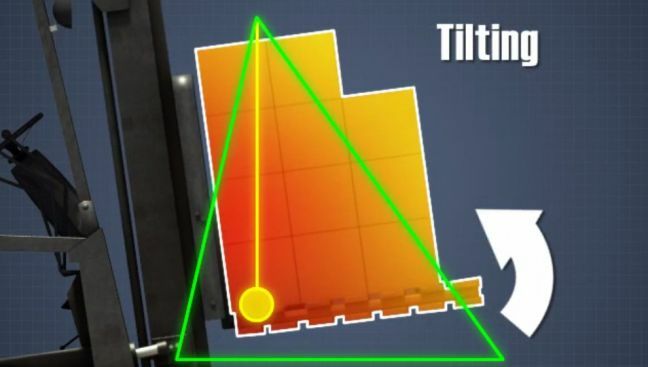 While driving a forklift, always approach elevators slowly, wait for the elevator car to be properly leveled, and only then and enter the elevator squarely. Once on an elevator, neutralize all controls, shut off the power to the forklift, and set the brakes. Do as much as possible to keep forklift traffic patterns separate from pedestrian traffic. When possible, use established pedestrian walkways and strictly enforce their use. Use guard rails and floor markings on pedestrian walkways. 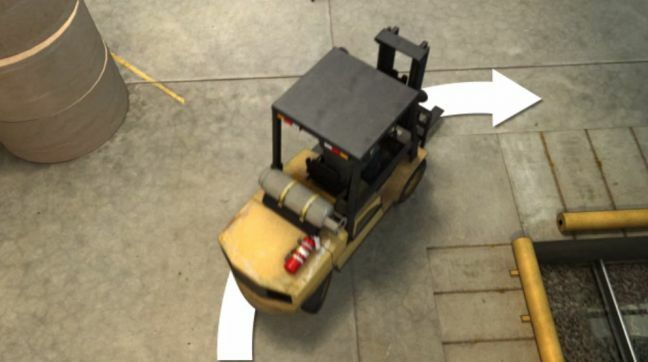 A parked forklift can present hazards to the forklift operator and to others as well. To avoid these hazards, the parked forklift should be properly secured. 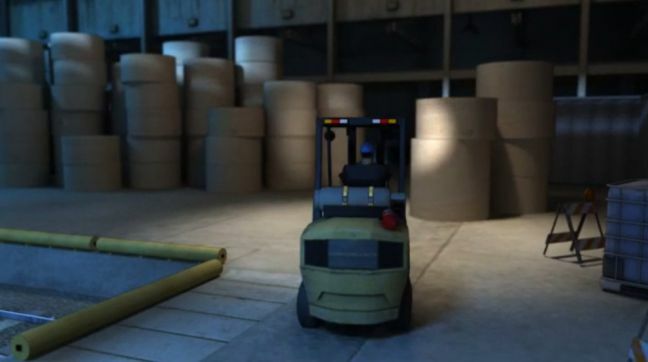 A forklift is considered to be unattended if the operator is 25 feet away or further from the forklift. This is true even if the forklift is in the operator’s view. 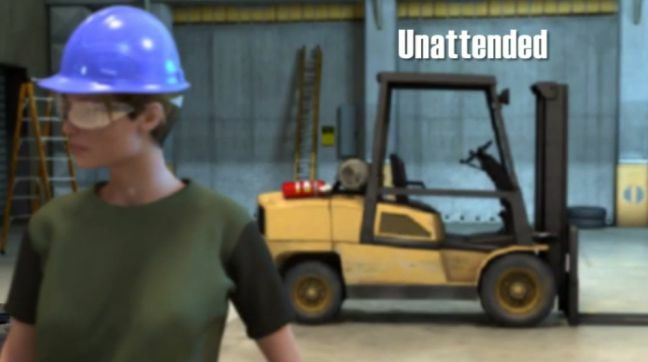 In addition, the forklift is considered unattended anytime the operator leaves the forklift and the forklift is not in his view (even if the forklift is closer than 25 feet away). If the forklift is disabled, and you can’t lower the forks to the floor, follow proper lockout/tagout procedures (as described in 29 CFR 1910.147) and make sure nobody stands or passes under the forks and/or load. 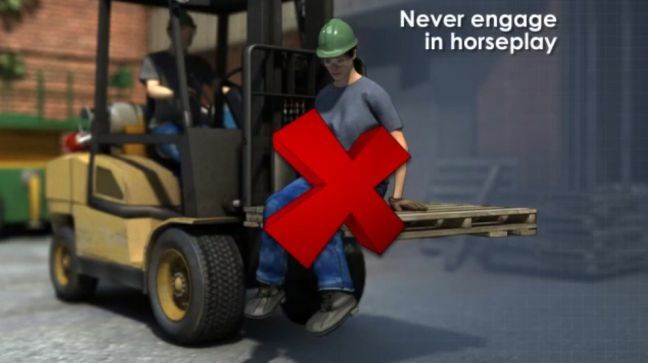 Just as its important to be careful while mounting a forklift, it’s also important to be careful while dismounting a forklift. What you can do to avoid a tipover depends on the type of tipover and the class of forklift you’re using. 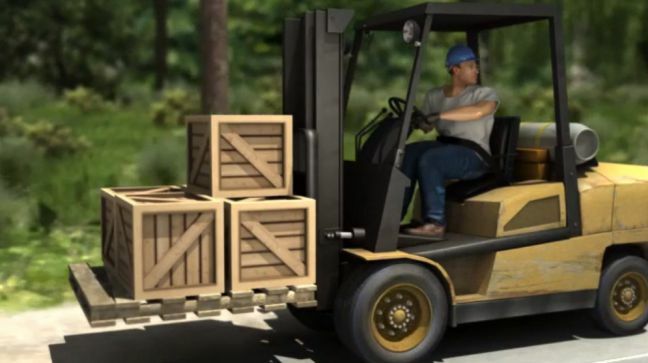 As mentioned earlier, tipover hazards vary depending on the type of forklift. That’s also true of what an operator should do if a forklift is tipping over–procedures differ depending on the type of forklift. 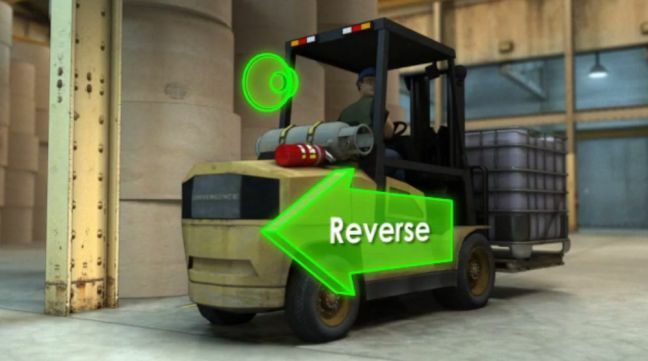 For example, a person operating a stand-up forklift with rear-entry access, the best thing to do during a tipover is to step backwards off of the forklift. 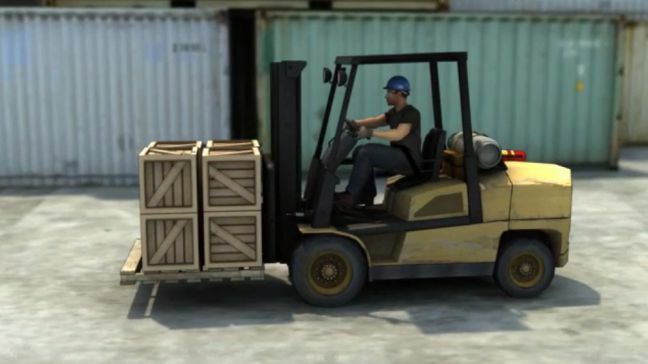 The point of operating a forklift is to lift and move loads. And so part of learning how to drive a forklift is learning how to handle loads with the forklift. As a result, we’ll look at some tips and considerations for safely handling loads with a forklift in this section. 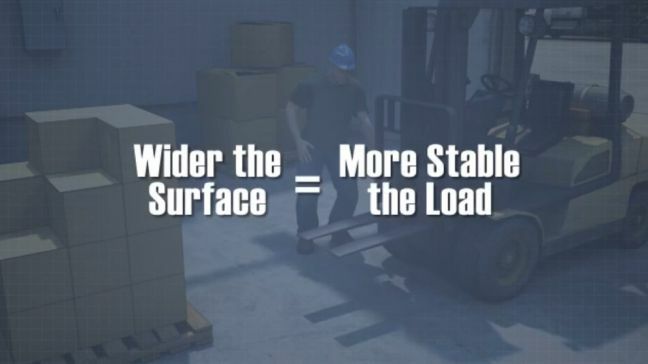 There are some general rules to follow to ensure safe handling of loads with a forklift. Always secure the load to ensure it’s stable and safely arranged. When handling an off-cetner load that can’t be centered, use caution. 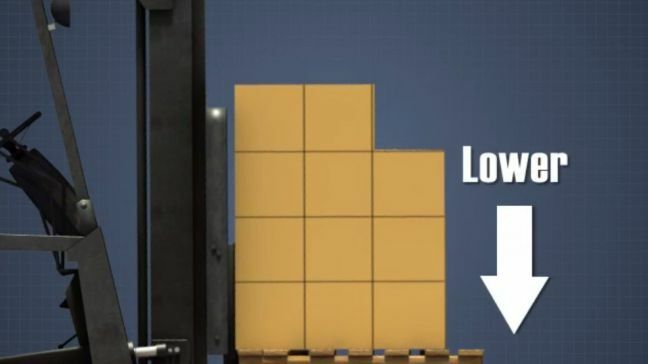 Know the load capacity of the forklift and do not overload the truck. Accidents sometimes occur when a forklift operator approaches a load too fast or turns too rapidly while approaching the load. Place the forks under the load as far as possible. The forks should be at least two-thirds the length of the load. Adjust the forks to distribute the weight evenly. You can do this manually or with a fork positioner. Once you’re properly placed the forks under the lift, it’s time to lift the load. Before raising the load, check to make sure there’s enough clearance overhead before lifting. 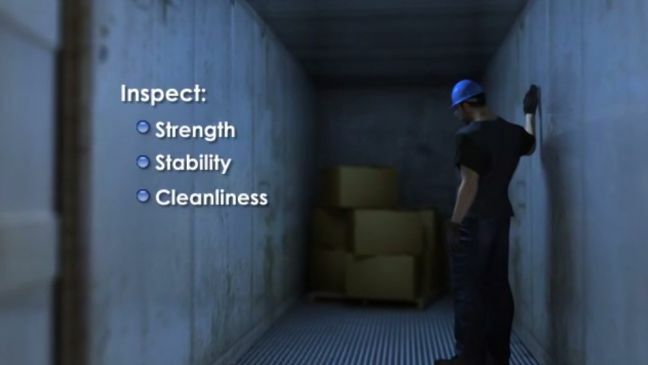 After you’ve lifted the load, in most cases you’ll travel somewhere before lowering and unloading the load. 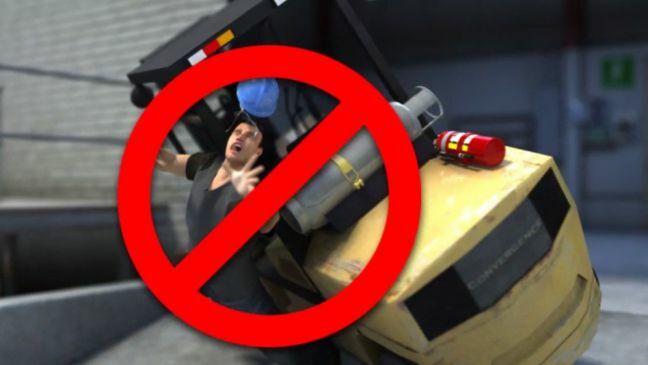 Remember we’ve already covered tips for safely traveling with a loaded forklift above. Forklifts often have to enter and/or leave truck trailers and railroad cars while moving materials. In order to reduce hazards associated with this type of work, OSHA’s 29 CFR 1910.178 presents a list of situations in which special precautions must take place before a forklift can enter a railroad car and/or a truck trailer. These include the following. 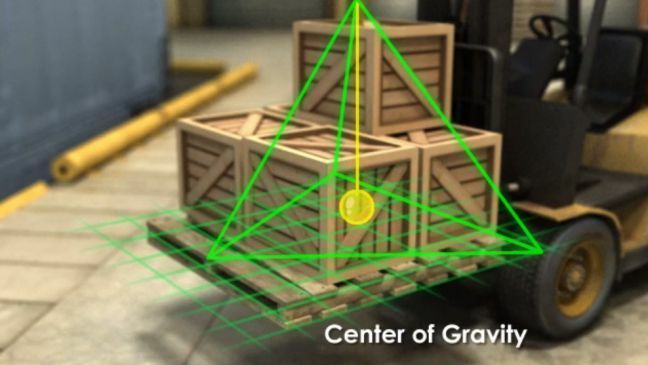 Make sure the floor can support the weight of the forklift and load. To determine the capacity of the trailer floor, consider multiple factors, including floor thickness, cross-member spacing, unsupported floor area, and more. As a general rule, the larger the unsupported area, the lower the forklift capacity the trailer will have for floors with the same thickness. Always set the brakes on highway trucks and placed wheel chocks under the rear wheels before a forklift enters. Follow these Chocking requirements for trailers docked to buildings with downward approaches (and be aware that the braking regulations by the Federal Motor Carrier Safety Administration preempt OSHA from enforcing OSHA regulations in 29 CFR 1910.178(k)(1) and 29 CFR 1910.178(m)(7) for commercial motor vehicles (CMVs). It may be necessary to use fixed jacks to support a semitrailer that is not coupled to a tractor while forklifts are entering and exiting to load/unload. This can help prevent upending. 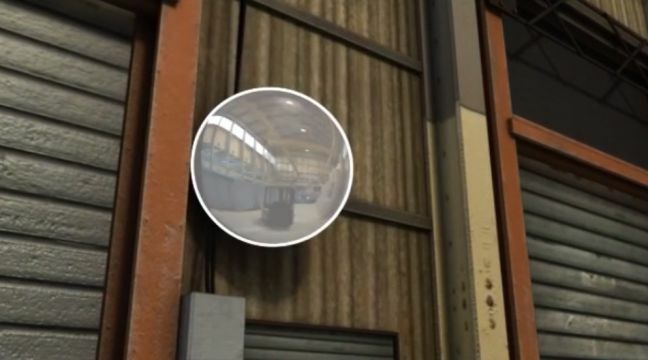 Use wheel stops or other positive protection to prevent railroad cars from moving when forklifts will enter or exit for loading and unloading purposes. 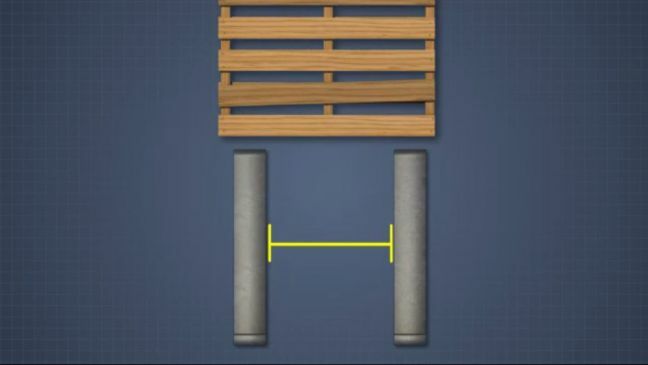 Use positive protection to prevent railroad cars from being moved while dockboards or bridge plates are in position and while forklifts are entering/exiting. Portable dockboards must be secured in position. Use anchors or other devices that prevent them from slipping. 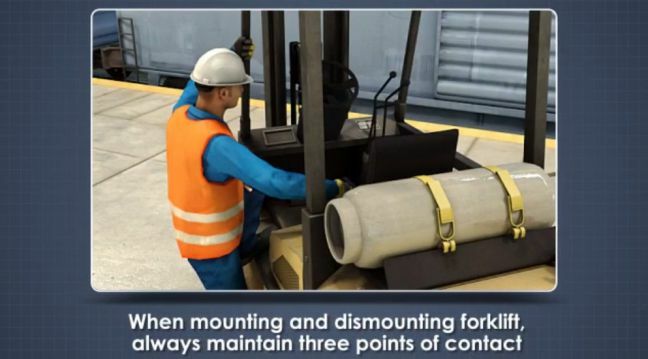 In addition to everything else you’ve now learned about how to drive a forklift, keep the following in mind regarding removing forklifts from service and maintaining forklifts. One of the best ways to prevent a hazardous operating condition on a forklift is to make sure the forklift receives regularly scheduled maintenance, including preventive maintenance. Be certain that the forklift receives regularly scheduled maintenance, and don’t operate a forklift that requires maintenance. In addition to regularly scheduled preventive maintenance, always report repair problems to a supervisor for unscheduled maintenance as well. We hope you gained some benefit from this article on how to operate and drive a forklift. Please let us know if you have any additional questions.